Solid Tumors are the result of the accumulation of abnormal tissues which doesn’t have liquid or cyst. They are mainly of three types namely Benign (Non-Cancerous), Premalignant and Malignant (Cancerous). The global robust tumor therapeutics market is growing due to several factors such as the rising prevalence of cases of solid tumors, increasing demand for advanced, effective chemotherapeutic drugs and therapies. According to WHO, in 2018, it was estimated that 164,690 men in the United States would develop prostate cancer. However, the increasing number of drugs going off patent, the rising cost of R&D, the number of growing generic products, and the high cost of therapy are hindering the growth of the market. For instance, the patent for Pemetrexed expired in Japan and major European countries in December 2015, while the United States patent expired in January 2017. 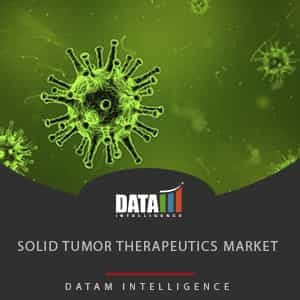 The Solid Tumor Therapeutics market can be classified into cancer type, treatment type, drugs type. Some of the major drugs for the treatment of solid tumors include Avastin (bevacizumab), Jevtana (cabazitaxel), Afinitor (everolimus), Tarceva (erlotinib), Sutent (sunitinib), Taxotere (docetaxel), Zytiga (abiraterone acetate), and others. Geographically, the market is segmented into North America, South America, Europe, Asia-Pacific, and RoW. North America is dominating the stable tumor therapeutics market holding the highest market share due to the availability of high-quality advanced healthcare system in the United States. TheAsia-pacific market is also growing due to rising awareness and advancements in healthcare infrastructure for the treatment of various cases of cancer. The major players include Abbott Laboratories, Inc., Amgen, Inc., AstraZeneca PLC, Baxter International, Inc., Biogen, Inc., Boehringer Ingelheim GmbH, Bristol-Myers Squibb Company, Eli Lilly and Company, F.F. Hoffmann-La Roche AG, and GlaxoSmithKline PLC, among others. In June 2018, Aminex Therapeutics, Inc., a clinical-stage drug development company received clearance from the FDA to initiate the first Phase 1 clinical trial of its immuno-oncology drug candidate AMXT 1501, for treatment of advanced solid tumor cancer cases. • Visualize the composition of the Global Solid Tumor Therapeutics market across each indication, regarding type and applications, highlighting the critical commercial assets and players. • Identify business opportunities in Global Solid Tumor Therapeutics by analyzing trends and co-development deals. 12.1 F. Hoffmann-La Roche Ltd.